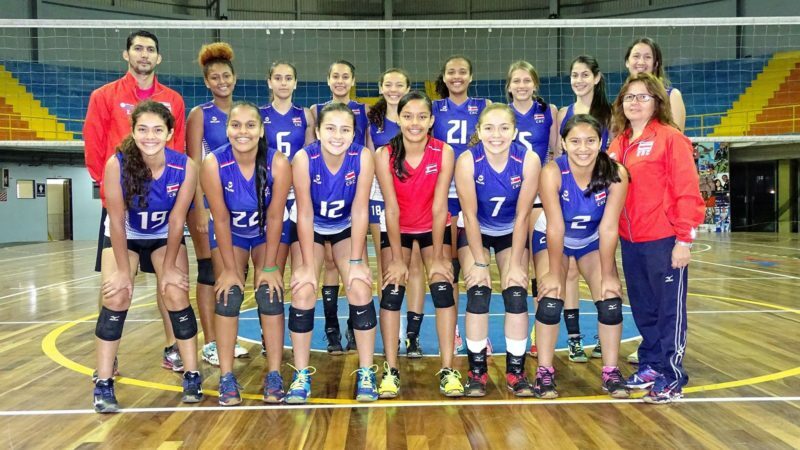 The Costa Rican women’s volleyball team has an astonishing record: It has never lost a Central America Cup championship that it contested in the past 41 years. The Ticas have been to the women’s international volleyball championship twice, ranking 17th in the world in 2010 in Japan. And Costa Rica is the only country in Central America that has ever sent volleyball players to the Olympics. In Rio de Janeiro in 2014, Nathalia Alfaro and Karen Cope represented their country in beach volleyball. 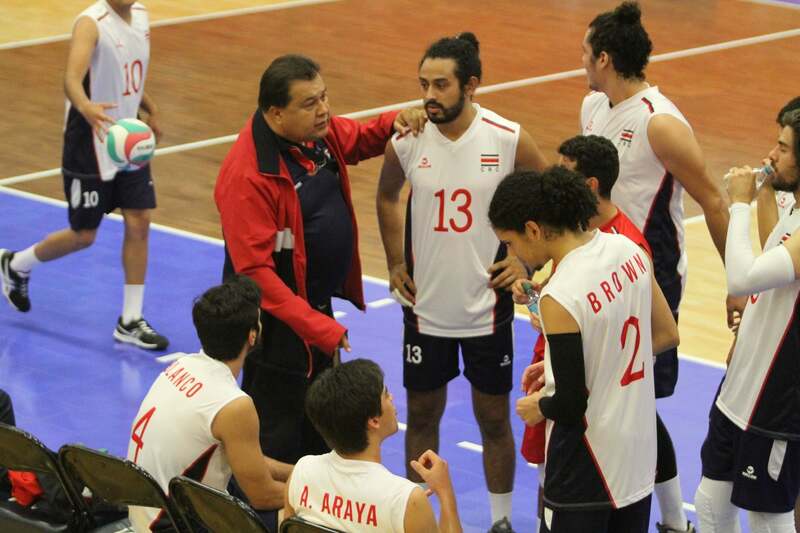 The men’s Costa Rican team is also a force to be reckoned with in Central America, where its biggest competition is Guatemala. Costa Rica is champion in leagues under 19, Nicaragua in under 21, and Guatemala in under 23 and the “mayor” or senior leagues. 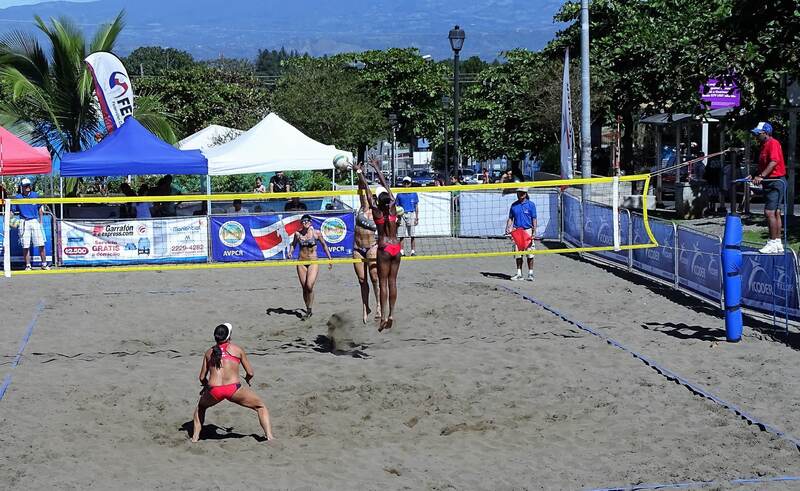 “Beach volleyball might have become more popular than indoor volleyball in the past few years,” said Alvaro Castro, an athletic organizer for the Costa Rican Volleyball Federation (FECOVOL). He noted that the under-19 team has qualified for the Youth Olympic Games in October in Buenos Aires this year. Castro said there are 62 youth teams in Costa Rica. In the entire country, from under-12 mini-volleyball to over-40 masters, there are 2,600 players. 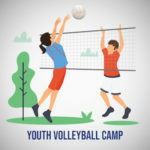 Volleyball was invented in 1895 in Holyoke, Massachusetts, by a YMCA physical education director named William G. Morgan. The origins of the sport in Costa Rica are obscure, with some saying that American students played it here as early as 1920, while others say a similar game was first played in 1935. What is better documented is that Professor Alfredo Cruz Bolaños introduced the game here after a Costa Rican delegation participated in the Central American and Caribbean Games of 1938. Starting in 1950, a large number of Venezuelans arrived in Costa Rica to seek asylum, and they helped to popularize volleyball and to teach it at the Colegio de Nuestra Señora de Sión. This school eventually developed a dominating team with a fan base that reportedly filled the bleachers, especially for matches with cross-town rival Lincoln School. A National Volleyball Association was formed in the 1950s, and the sport continued to spread to new schools and private clubs. Leaders of the association attempted to set up an elimination process to find the best players in the country and form a national team, but this job proved very challenging because of their lack of experience and because of resistance from leaders of other sports organizations, who criticized the selection process and the people leading it. The National Volleyball Association concerned itself with fairness in refereeing and in teaching players to respect judges and the public. Players who didn’t follow the rules or showed disrespect toward judges, fellow players or the public were penalized, according to a brief history of the sport in Costa Rica published by FECOVOL. In the late 1960s, a Puerto Rican professor named Israel García introduced strategies and tactics of the modern game. Whereas teams had traditionally lined up in two triangles, a system of “multiple penetration” was introduced with a single defensive line, the 3-2-1. By 1970, Costa Rica had a national team and was granted membership in the International Volleyball Federation (FIVB). By 1999 and 2000, it was the Central American champion in three categories: childhood, youth, and adult, for both sexes. 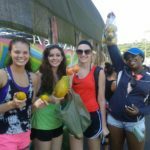 Costa Rica Sports Tours has more than 20 years of experience in hosting North American teams in Costa Rica — mostly soccer teams, although it has lined up many itineraries for volleyball and basketball teams. We are experts in matching visiting teams with Costa Rican teams at the same skill level to play several friendly games. 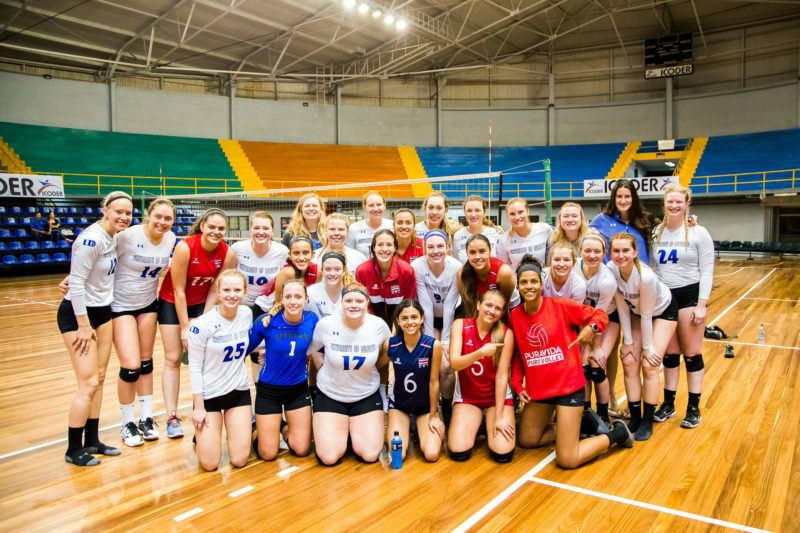 Consider it a “volleyball immersion course” that also features a visit to one of the most beautiful countries in the world. We take care of all the details, from pickup at the airport to hotels, meals, tours and transportation. Visiting players typically visit a community service project for poor children, go on a walking tour of San José, and visit a volcano and a beach. There’s also a chance to visit hot springs or engage in some high-adrenaline adventure, like ziplining or whitewater rafting. Contact us to learn more about how we can set up the ideal volleyball tour for your team.